The story of a 16 year old boy’s suffering from birth due to a complex heart ailment and the redemption at SSSIHMS. The grateful father says he can only thank everyone from the bottom of his heart. At 16 years he seems a normal boy doing normal things every boy his age would do. Though he seems normal he has been suffering from a defective heart right from his birth. Though the baby looked normal to the human eye at birth, an echo cardiogram detected that the baby was suffering from a defective Aortic valve. The baby was not put on any medication because it was considered not required by the specialists, but was advised regular check-up, once every six months. When the child was four years old the parents took him to a leading hospital in Kolkata where all investigations were again done. The specialists told the parents that the aortic valve is defective; it is not opening and closing properly and the child will require a ‘balloon dilatation’ procedure to be done on him to set right the defect. 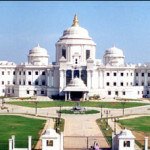 Knowing that it is a super-speciality hospital the parents were worried about the charges for the surgery. Their fears came true when they were directed to another hospital at Raiganj, where a heart specialist would visit from Kolkata and perform the surgery. They met the visiting doctor, but he directed them to another hospital where a specialist would see them. At the third hospital, they once again underwent all the tests and all the mandatory investigations. The specialist advised the parents that the child needs immediate surgery, and it would cost them One and a half lakhs of rupees (INR 1.5 lakhs or US$ 2250). Not knowing from where they would muster so much money at such short notice, and feeling depressed that they might not be able to save their precious child, they went home worried and anxious about the health of their little child. 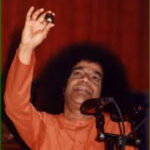 It was at that time a relative of theirs who visited them suggested that they should go to Sathya Sai Hospital in Bengaluru for further treatment. When they were wondering why should they undertake such a long journey and that too to an unknown hospital, the relative mentioned that the treatment at Sathya Sai Hospital is free and he also assured them that he got to know about the hospital through someone else who had come here. Since there was no other option, the family decided to travel to Bengaluru. This was in October 2012.When they reached the hospital they were flabbergasted and could not believe their eyes. “Is this really a hospital?” they wondered. They got entry inside and after the mandatory round of investigations they were still wondering whether what was happening was a dream or reality. They simply could not believe it. No one has asked them for a single rupee anywhere. They waited till the chief Cardiologist saw the reports, and asked them to get the child admitted immediately. The following day the procedure known as Aortic Valve Balloon Dilatation or AVBD was performed successfully on the child. After being under post-operative care for two days he was discharged. The parents are pleased with the attitude of service and treatment they received. Besides, the place is beautiful, the rooms are clean, and all the staff is so cordial and accommodative. Every year they keep coming for regular check-ups. The parents of the child, and the boy himself, express their heart-felt gratitude to everyone, the doctors, the nurses, the technicians and above all to Bhagavan Sri Sathya Sai Baba who has constructed a place like this especially for people like them. “This is heaven on earth, we have never seen a place like this and will never see one anywhere,” says the happy father. Thank you everyone, he says from the bottom of his heart. Aortic Valve is the valve that regulates the flow of blood from main chamber of heart to the rest of body. It is the only way blood can flow out into body and any problem with the valve would have various effects on the health of the person. This is one of the common valves that get affected either at the time of birth or later in life.